Skimming through some old photos, I came a couple of adorable Christmas cards I had made a couple of years ago. 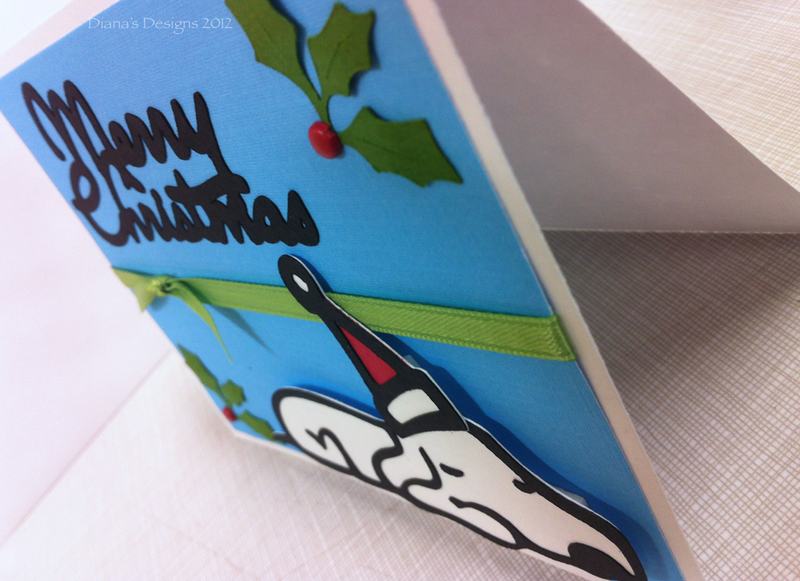 For this card, I used the sleeping pup from the Cricut Paper Pups cartridge and topped him off with a Santa hat. The sentiment is from the Cricut Wild Card cartridge and it looks like it was cut at about 1 3/4" using the Real Dial Size feature. I also used the holly cut from the Cricut Joys of the Season cartridge along with a couple of red brads as berries to embellish the corners. 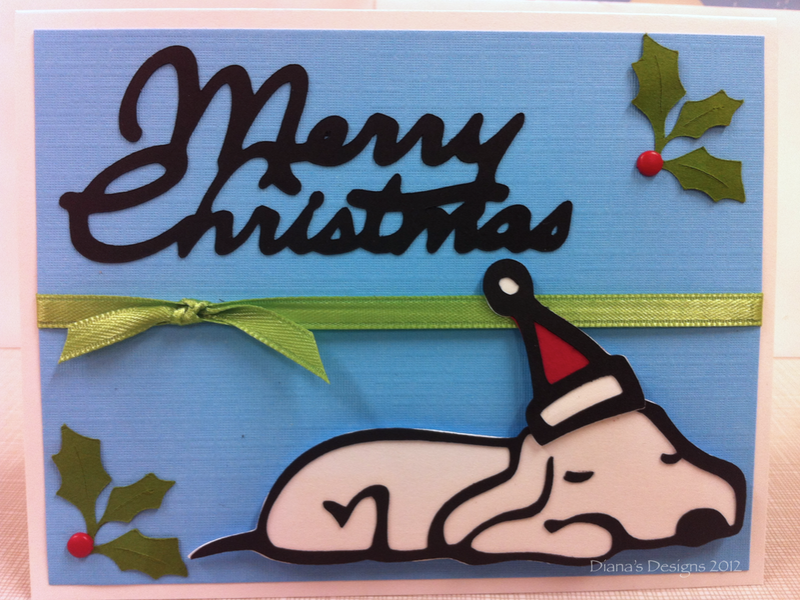 The paper used for the background is Bazzill cardstock for added texture and the pup was adhered using a foam dot to give the card some dimension. This is just one of those cards that get the Cricut bug in my itching to make more cards this year!